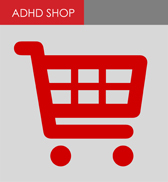 Christmas time can be exciting and enjoyable as well as overwhelming and frustrating for people with ADHD. The holidays hit just about every ADHD stress point: remembering dates, organising presents, getting to gatherings on time, keeping up with family news, mixing with in-laws and managing your symptoms to name a few! On Saturday, 8 December, our last Awareness Afternoon for 2018 gives you an opportunity to get prepared. Everyone is invited to enjoy an afternoon of strategies that will lead to a Christmas you won’t forget. Attendees will hear popular Australian ADHD expert Dr Caroline Stevenson discuss ADHD strengths/weaknesses and how we can use the strengths to make Christmas stimulating and how to make the weaknesses invisible. The event is being held at St Barnabas Centre, 57-61 Mountain St, Ultimo near Broadway in Sydney starting at 2.00pm. A small $5 donation is appreciated on the day to help cover running costs. After the event attendees can enjoy some Christmas fare including tea/coffee and the chance to meet and mix with others. If you would like to attend REGISTER at www.adultadhd.org.au before the date to help us with catering.